Curry Supply Company is significantly expanding their parts and components distribution network. Construction is nearly complete on their main parts distribution facility in East Freedom, Pennsylvania to add an additional 32,000 sq. ft. of available warehouse and office space capacity. This expansion will allow for a much larger in-stock parts inventory. A multi-million dollar OEM replacement parts inventory is maintained for all makes and models of on- and off-road water trucks, mechanics trucks fuel/lube trucks, lube trucks, rail gear trucks, vacuum trucks, winch trucks, dump trucks, crash attenuator trucks, lube trailers, and lube skids. The expanded two-story facility will also provide more customer and employee parking and allow easier access for walk-in customers. The expansion of this facility is expected to be completed late-summer 2016. To service customers in the west and southwest, the company has begun stocking a comprehensive inventory of on- and off-road water truck parts at their new facility in the Houston, Texas area. Parts are available for most makes and models of water trucks. Walk-in customers are welcome, or can be ordered by calling the 24-hour Houston Parts Hotline: 832-821-7222. The Curry Supply facility outside Houston is located at 1113 Howard Ave., Deer Park, TX. The company continues to stock and sell their products and parts at Coleman's Equipment, their authorized dealer in Australia. For more information contact the company at 800-345-2829 or visit their website www.currysupply.com. Curry Supply Company is a family-owned business that was established in 1932. 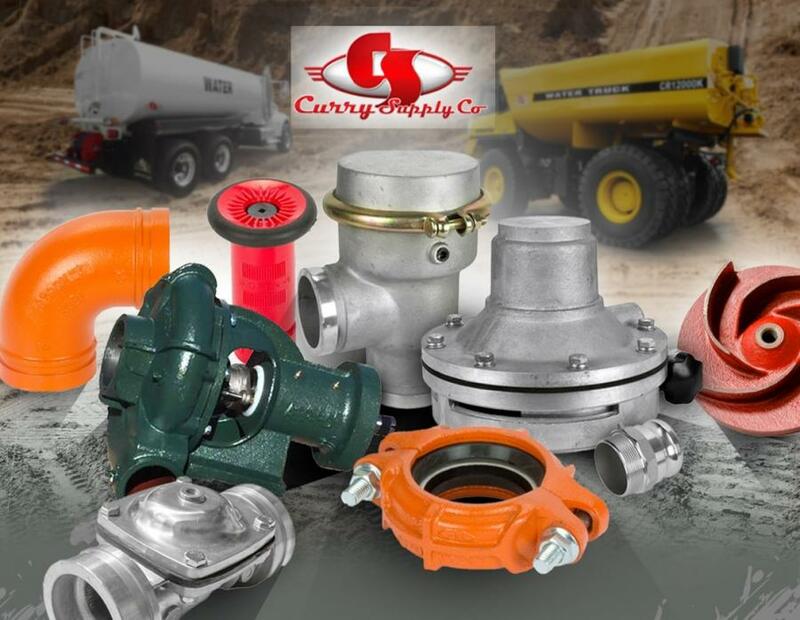 Over the past 84 years, Curry Supply has grown into one of America's largest manufacturers and dealers of commercial service vehicles including on- and off road water trucks, mechanics trucks, on- and off-road fuel/lube trucks, vacuum trucks, winch trucks, dump trucks, crash attenuator trucks, and lube skids. Curry Supply delivers internationally, with sales, parts, and service provided throughout the United States and Australia.